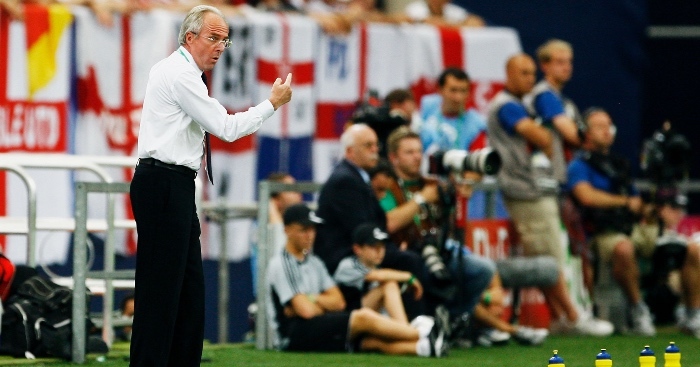 Can you name every player capped by England under Sven-Goran Eriksson? Sven-Goran Eriksson capped 72 different players during his time as England manager – but how many of them can you name? We’ve given you 20 minutes to name them all and have listed the number of appearances each player made as a clue. Good luck, and don’t forget to tweet us your scores at @planetfutebol. Note: If you have any issues attempting the quiz, play it on the Sporcle website. Can you name every England player to score at a tournament since 1990? Can you name every player capped by Gareth Southgate for England?